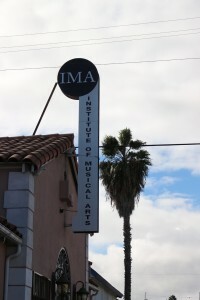 The Institute of Musical Arts (IMA) was founded in 1922, as a music training facility, by German immigrant, Raymond G. Hand who lived in the IMA residence and built and operated a music school in the facility for almost 20 years. 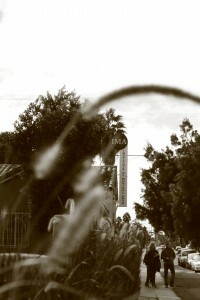 As the demographics of the neighborhood shifted, the area soon reflected the rich culture of the significant number of Japanese Americans who resided and owned business in the area, which became known as the Angeles Mesa section of the general Crenshaw area. In 1943, Daniel and Lei Kawada purchased the IMA, and continued offering music training programs and opened its auditorium to the community. The IMA auditorium became the Crenshaw area’s primary performing recital hall during the 1940s-60s. It was the recital hall for the Los Angeles Unified School District and was used by many private music instructors and their students. Clayton Wilkins, an engineer at Rockwell who taught classical guitar. Clark, Brown and Thomas were all members of “The Group”, a Bossa-Nova style band which performed at jazz venues in and around the greater Los Angeles area they re-discovered the IMA while searching for rehearsal space. (Ray had first encountered the facility in 1964, when his then 5-year-old daughter, Dawn, performed her first piano recital in the IMA auditorium.) They struck a deal with the Kawadas for the purchase of the IMA, and for the next several years, all four of the partners taught music, and kept the vibrant tradition of the musical arts at the forefront of the school’s programs. In approximately 1972, Ray G. Clark and Oliver P. Brown (both Howard University engineering graduates) purchased the component parts and built a Quantum Quadraphonic Audio Mixing console, and completely remodeled a wing of the IMA, converting it into a state-of-the-art music recording studio, the Clark-Brown Audio Recording Studio (CBA). Using their knowledge of aerospace design, they made the studio one of the first to incorporate solid-state technology, foregoing the widely used vacuum tubes and transistors which were standard at that time. This forward-looking strategy anticipated the rapid evolution of music technology of the next forty years. Clark and Brown applied their aerospace engineering knowledge and skills to develop innovative techniques to recording popular artists, campaign ads and corporate training materials. 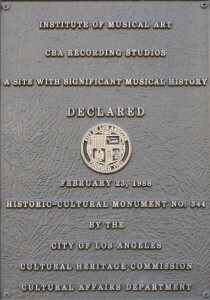 CBA soon became the premier place to record music in Los Angeles. Clark and Brown turned CBA into one of the most technologically advanced recording studios south of Hollywood. Their pioneering work provided a fertile training ground for those who would later become successful, influential musicians; and their culturally rich work environment made CBA the “go-to” studio for many established artists. 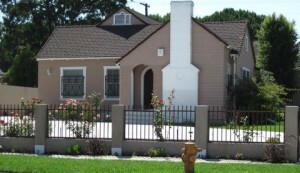 Although it shared the market with Ike and Tina Turner’s Bolic Sound Studios, which was just southwest of the IMA on La Brea Avenue in Inglewood, and Ray Charles would soon open his own studio a few miles northwest of the IMA on Washington Boulevard, CBA Studios was widely regarded as THE place to record, and was known for having the “best sound in town”. 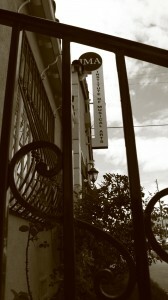 During the 1970s-80s the studio played host to a Who’s Who listing of musicians, artists, actors, politicians and local activists. Its long list of recording alumni include, Marvin Gaye, Bobby Womack, Nancy Wilson, Ernie Watts, Billy Davis, Ndugu Chancler and Patrice Rushen. Clark and Brown operated CBA for approximately fourteen years in the IMA building. Brown handled most of the technical aspects of the studio and was the chief audio engineer. Clark handled most aspects of operating the business, while attending Southwestern University School of Law as a full-time student. He later became a prominent defense attorney. 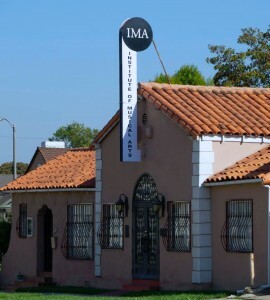 In 1986, the IMA building was sold to Randy R. Woodard, who was in search of a larger site for his company “The Main Stream Group”, a music recording and production business that he owned along with his wife, Edwiges Lopez Woodard, Tyree Brown, Ruben Monge, Kenneth Smith and Joseph Blocker. Woodard and his team became so engrossed in the history of the IMA and CBA Studios that they found themselves pouring over the wealth of memorabilia, testimonials, old recording masters, receipts and other items that documented the precious history of IMA. Woodard and his team were so moved by their findings, and the impact that the IMA had on its community, that they presented their findings to the City of Los Angeles Cultural Heritage Commission, backed by a petition of signatures that they collected in the district, and supported by letters from IMA alumni. In 1988 the Commission voted overwhelmingly to designate the IMA building “Historical-Cultural Monument #344. 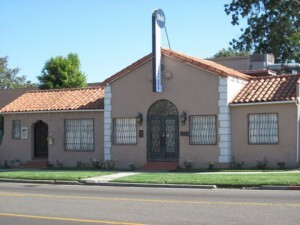 Professional offices and meeting rooms. 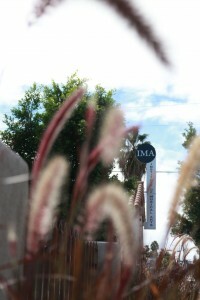 The newly renovated IMA was pleased to host its inaugural events in the fall of 2010, and today continues its tradition of providing progressive programs that benefit and influence the surrounding Greater-Crenshaw community. At the helm of IMA is Board Chair, Barbara H. Clark, a professional storyteller (and Ray G. Clark’s wife) and their daughter, Dawn Clark-Johnson, an attorney who serves as Executive Director. The IMA is also extremely fortunate to have the expert assistance of its board members: Dennis E. Lew, Sandra Clark-Davis, Terrance K. Davis and Gregory Sawyer.